Whether payday is a distant memory or you simply don’t want to spend your life savings on a meal, don’t go running for those two-minute noodles just yet. There are plenty of cheap eats in Auckland that are minimal on coin but maximum on deliciousness. These wall-friendly Auckland restaurants will leave you full, satisfied, and with money in the bank—winning! 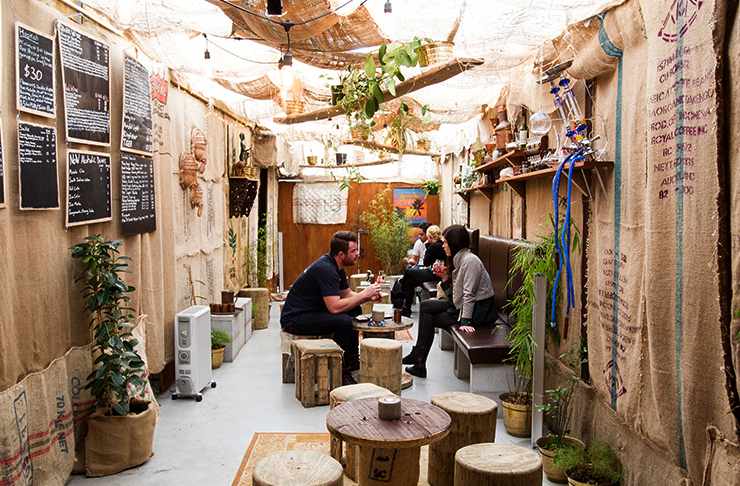 So, without further ado, here are the best cheap eats in Auckland. Like every good Aucklander, we can’t go past a serve (or two) of dumplings. New Flavour Restaurant serves up some of the best (and cheapest) in town. Their seemingly endless dumpling menu is priced around $13 for a serve of 20 delicious morsels. Oh, and their sweet red bean pancake is equally amazing (only $5). This Malaysian gem is cheap, cheerful and has the best beef rendang in town. What’s more, the owner Angie is a total delight and her friendly team will make you feel right at home—bless. FYI bring ya bottle of vino because corkage is a mere $1. Whether you prefer your pancake sweet or savoury, this tiny kiosk will give you change from a fiver. We can’t go past the Hawaiian-esque ham, pineapple and cheese pancake. Oh-so cheesy and oh-so-tasty, No 1 Pancake is Auckland cheap eats at its finest! You may have to wait to get a table at Mamak but we promise it will be worth it. Round up your squad and work your way through serves of seafood laksa, deep-fried tofu and their sambal chicken on rice. Pro tip: mop your plate clean with their delightfully buttery roti. No Auckland cheap eats list would be complete without mention of everybody’s favourite takeaway joint—Big J's Takeaways. Located in an unassuming block of shops in the suburbs of Mt Wellington, Big J’s serves up burgers that are big on taste but small on price. Keep an eye on their Facebook page for their always-epic burger of the week. He may be in his 80s, but Greenwood’s Fresh Catch owner Thomas Ng knows how to serve up finger-lickin’ good fish and chips. The suburban superstar handpicks his fish from the market daily and batters (or crumbs) it to perfection. It’s served alongside all your takeaway faves such as chips, squid rings and potato fritters. Barilla Dumpling has made a comeback from its D-grade food safety days. With a fancy A-grade rating and TWO Dominion Road restaurants, the much-loved Chinese food joint will satisfy your dumpling craving. Our advice? Come for the dumplings, stick around for the sautéed eggplant and deep-fried green beans. Better Burger's menu might be simple (hamburger, cheeseburger, double cheeseburger or a veggie-friendly mushroom burger), but the food is simply divine. Grab a burger for around the $5 mark or opt for the $11.50 cheeseburger combo—what a steal! With four locations Auckland-wide, Satya South Indian Restaurant is a tasty option for dinner and drinks (BYO is available) when you don't want to spend your money. You can enjoy a night out here for around $20. 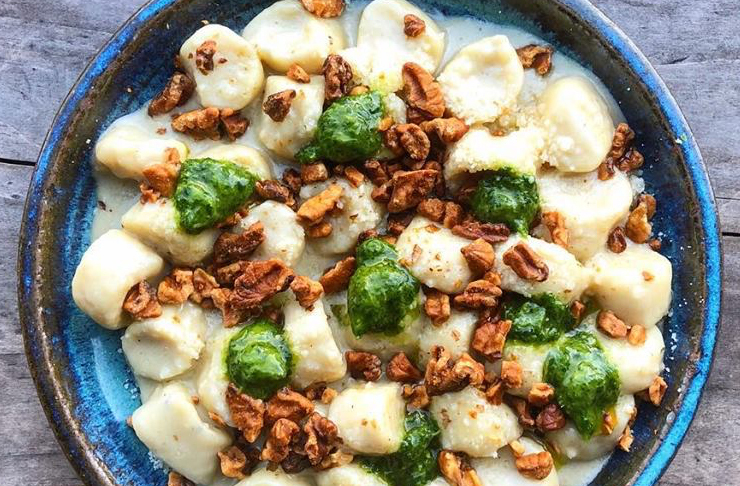 We thoroughly suggest you splash out and order an entrée of dahi puri (an Indian street food snack). “There’s no such thing as a cheap meal in Ponsonby,” we hear you cry. Wrong. Freeman & Grey serve $5 pizza across lunchtime and dinnertime every day. Better yet, they have a $12 express lunch menu offering the likes of tortilla, sammies and fettuccine pasta. Fishsmith has put a Herne Bay stamp on fish and chips and made them hella trendy. Your order will be presented exquisitely and leave you with money to burn. Our go-to is their spiced fish tacos served with chips, slaw and sauce for $16. If you love Korean food (you do), look no further than Bannsang. Serving some of the best Korean eats in Auckland, their delicious wine-infused pork belly has developed a cult following—and for good reason, too. Their perfectly spicy soul warming soft tofu stew is also not to be missed. Chawlas serves the best palak paneer in Auckland—rich, creamy and cheap, just the way we like it. Located a hop, step and a jump from The Civic, this inner-city restaurant is popular with students and office folk alike. Slurp your way through one of Auckland’s best bowls of ramen and you’ll soon forget your money woes at Ramen Takara. Serving up some of Auckland’s best cheap eats, a bowl of ramen goodness will cost you around $15. No visit is complete without a serve of their much-loved crispy lotus chips. We love burgers and the friendly folk at Burger Burger serve up the finest in Auckland (big call, we know). Twenty bucks will buy you a burger and a side of their famous charred broccoli. Pro tip: go for their tender grilled chicken burger and add a slice of pineapple. Parkside’s authentic Vietnamese dishes will magically transport you to Ho Chi Minh City. Serving some of Auckland’s best cheap eats, work your way through your Viet faves including pho noodle soup, green papaya salad, grilled pork bun cha and—of course—spring rolls. Steamed bao buns for under 10 bucks, what more can you ask for? Situated on Rutland Street, this food stand is killing the fried chicken game and we can’t not mention their Michelin star kumara fries (according to us). 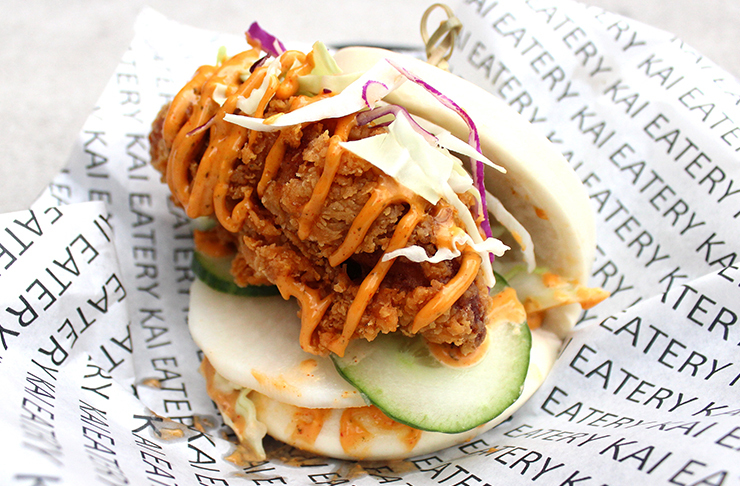 Kai Eatery knows how to work their magic when it comes to freshness and flavour so go on and hop on it. Kiss Kiss has your breakfast, lunch and dinner needs 100 per cent sorted. This Balmoral beauty goes from rum and orange French toast in the morn to pork belly curry and phad si ew once evening rolls around. A cocktail chosen from a View Master is a must. 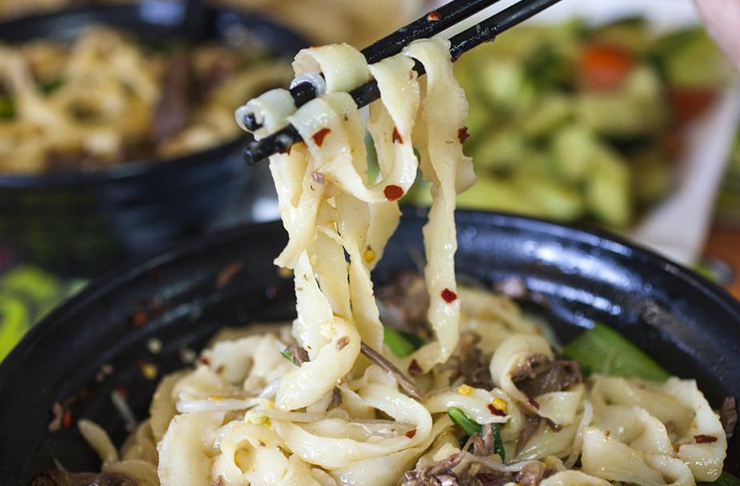 Situated all around Auckland, this authentic Chinese joint, Shaolin Kung Fu Noodle, remains one of Auckland’s best-hidden gems. Trust us when we say, the sensational spicy chicken with noodles are NOT to be missed. The epic-sized portion of chewy noodles can be shared amongst at least three other people will set you back just $35—meaning you totally have change for dumplings. 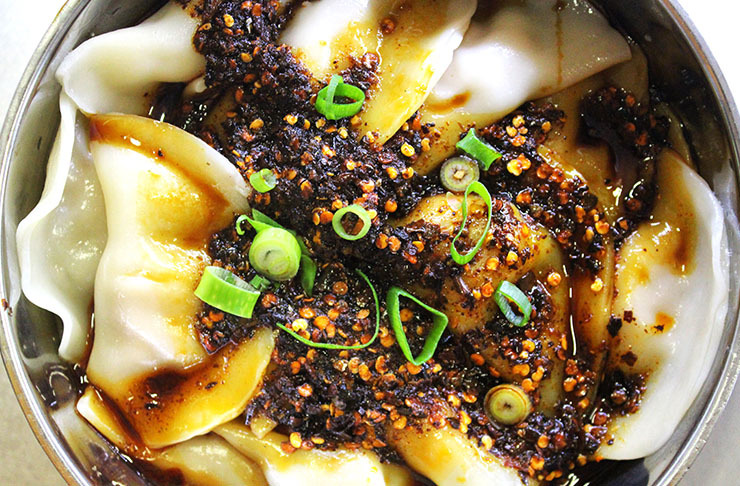 Speaking of dumplings, west is home to some of the best. Mr Zhou’s Dumplings serves all your fave morsels (pork with chives, chicken with coriander, beef with fennel) and a whole lot more. Have ‘em fried, boiled, with soup or cook them yourself with their packs of frozen dumplings. 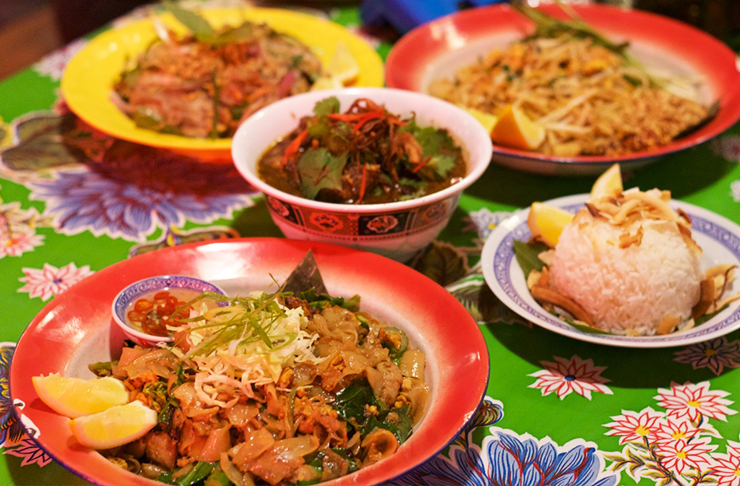 Look no further than K Road’s Pok Pok for mouth-watering Thai eats. Devour serves of goat massaman curry, prawn tom yum soup and generous portions of crispy pork belly. We suggest rounding up your nearest and dearest and ordering a bunch of stuff to share—try all the things. Oh, and Pok Pok is BYO-friendly…what’s not to love? Run by Francesco Acri (a Naples native), Settebello knows what’s up when it comes to a piece-a pizza. In fact, Francesco represented New Zealand at the World Pizza Championship in Italy after winning the nation’s pizza champs in ’15. 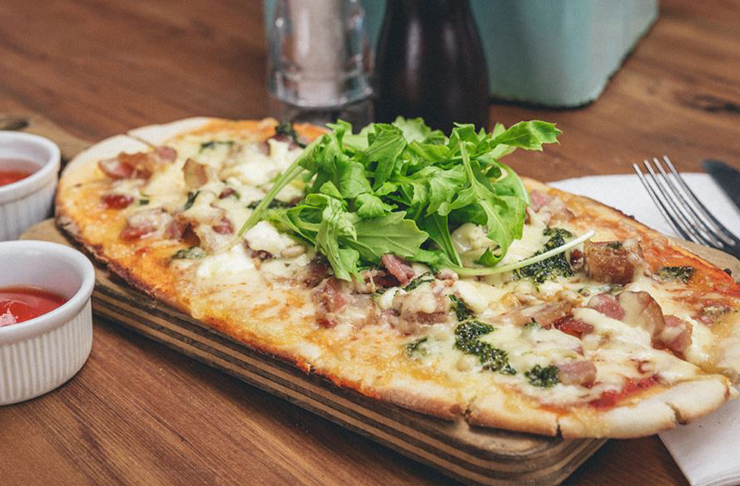 Settebello’s “early bird” $15 pizza and Peroni deal is something you need in your life. Is it Sandringham or is it Sri Lanka? You won’t be able to tell at 7 Siri Taste Of Sri Lanka. Several of the dishes are served wrapped in a banana leaf at this Sandringham gem—you don’t get more authentic than that! Gobble up kottu roti or go for the full shebang with lump rice. In arm’s reach from the Sky Tower, Mexican Café’s $15 dinner menu will save you from the rumbles. Go for an enchilada, quesadilla or a vegetarian lasagne…they’re all equally delish. If you’re super short on cash, their 5pm—7pm happy hour (or should we say ‘hours’) has you covered with $5 tacos. Wash it down with a $5 tap beer and you’ll be away laughing. There’s so much to love about GoGo Music Cafe. 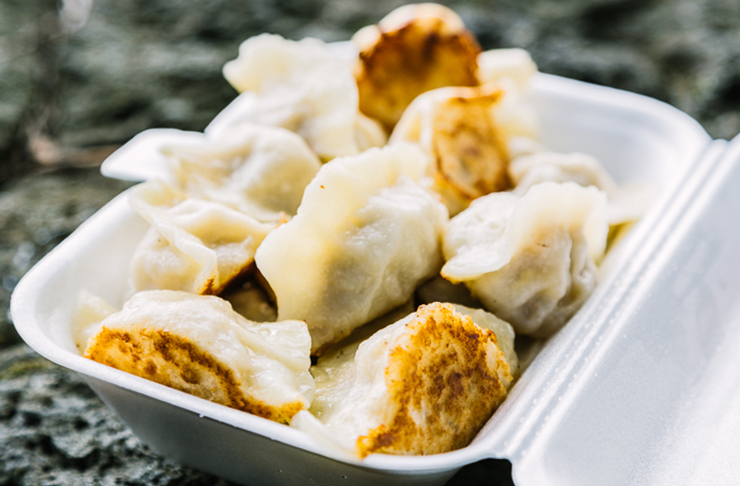 From the $1 lamb skewers, $10 for 20 dumplings to the hand-pulled noodles and fried Chinese buns with condensed milk, you’ll get plenty of bang for your buck—you’ll find some of Auckland’s best cheap eats! Head to Otahuhu to try things out at the aptly named restaurant, Try It Out. The eatery is known for serving some of the best Vietnamese cheap eats in Auckland. Their prawn and pork summer rolls are oh-so-fresh and we can’t get enough of the combination vermicelli noodle bowl. It’s happiness in a bowl. You don’t need to wait till payday to get your fix of premium quality handmade pasta as K’Road has got the goods at Cotto with a menu where everything is under 20 bucks. From a stylish fit out to bomb flavours, it’s pretty hard to believe that this chic eatery is considered an Auckland cheap eats. When hungry in Newmarket, make a beeline to Selera’s Malaysian eatery. You’ll be treated to roti canai with creamy chicken curry, laksa and mee goring—and be sure to get an entrée of curry puffs. A cheap meal at Selera is the perfect pre or post-movie dinner.